On Wednesday evening, the annual TiLee Awards were announced from the stage of the Palace Theatre. 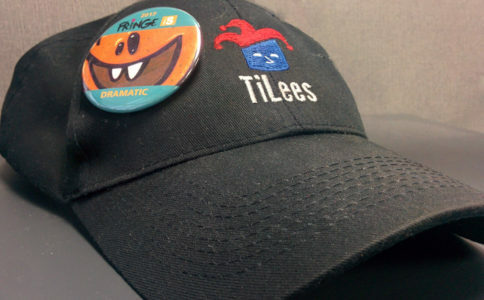 The TiLees recognize a number of artists who participate in the London Fringe Festival, and are chosen by Theatre in London.ca’s team of volunteer reviewers, public vote, and Fringe Executive Producer Kathy Navackas. To start the ceremony, festival associate producer Christine Gruenbauer presented the award for Favourite Visual Fringe Artist (chosen by Fringe patrons) to Lawrence Addison. The awards were followed by a fun “spoof night”, in which Fringe performers parodied each other’s shows. Congratulations to the winners, and thank you to all of the performers, behind-the-scenes participants, and audience members who have made the 19th London Fringe Festival a success.